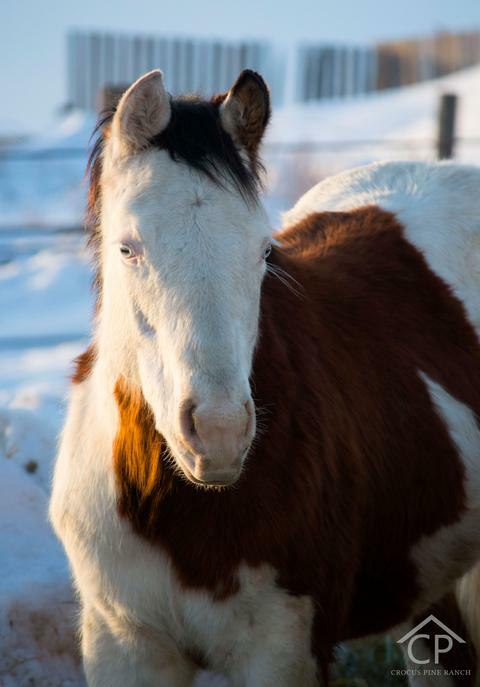 Barn name is " Sarge"
Sarge is by Hesa Hot Gunner 2015 Reining Alberta Provincial Prime Time Champion, 2015 Reining Alberta North, Ltd. Non Pro High Point Champion, 2015 Reining Alberta North, Senior Reiner High Point Champion, 2014 Reining Alberta North - High Point Champion - Senior Reining, 2014 Reining Alberta North - High Point Reserve Champion - Beginner Horse Non Pro, 2014 Reining Alberta North - High Point 3rd Place - Non Pro who is by the infamous Colonels Smoking Gun. 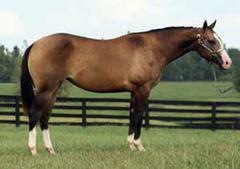 Besides the great Colonels Smoking Gun (NRHA 5 Million Dollar Sire & Hall Of Fame). He also boasts great horses such as Be Aech Godiva - NRHA money earner & Carolina Classic Champion x Be Aech Enterprise - 1.4 million dollar Sire & #6 NRHA all time producer, grand dam Shesa Hot Chocolate is a producer of over $101,000 & a NRHA World Champion. His Dam is Busy Winnin Chex the 2011 MS Sweetheart Novice Horse Open Champion. She is out of 2 Million Dollar NRHA Sire Nu Chex to Cash, he is also a multiple World Champion AQHA Reining & Working Cow Horse. 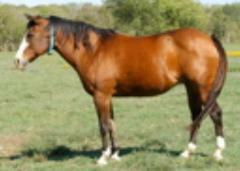 She is a 7/8 sister to Hilldale Farm's Top stallion "Busy Winin Chex" , her dam has produced $25,000+ offspring earnings. Busy Winnin Chex -- 2011 MS Sweetheart Novice Horse Open Champion. 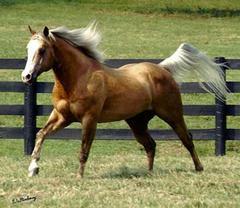 COLONELS SMOKING GUN (GUNNER) 1993 -2013 - EARNER OF $177,670, NRHA HALL OF FAME – FIVE MILLION DOLLAR SIRE. 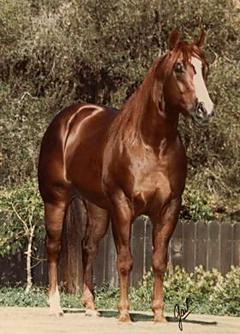 Colonels Smoking Gun (Gunner), a National Reining Horse Association Hall of Fame inductee, was the NRHA Futurity Reserve Champion in 1996, and tied for Reserve at the NRBC in 1998. He also went on to win the USET Reining Championship in 2001. He was immortalized as a Breyer Horse USET Special Edition model, as well. As Tim and Colleen moved Gunner to Tioga, TX after becoming his new owners in 2005, he was already a world champion reining sire. His outstanding offspring include 2009 NRHA Futurity and 2010 Derby Open Champion, Gunnatrashya. Gunner has sired numerous Futurity and Derby finalists and champions, in both the Open and Non Pro divisions, including 2012 NRHA Open Futurity Champion, Americasnextgunmodel, 2012 NRHA Open Futurity Reserve Champion, Gunners Tinseltown, and 2012 NRHA Non Pro Co-Champion, Customized Gunner. Gunner has also sired Gunners Special Nite, winner of the individual Gold medal at the 2010 World Equestrian Games, as well as had three offspring place Top Ten in the 2010 NRHA Futurity Open Finals, including our own Always Gotyer Gunsup (also 2012 NRBC Non Pro Champion and 2013 NRBC Non Pro Reserve Champion). Gunner soared from NRHA Four to Five Million Dollar Sire status in nine months due to the overwhelming success of his progeny at the 2013 NRBC. 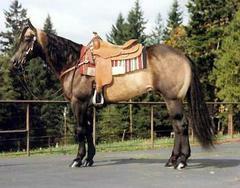 Nu Chex To Cash -- AQHA #1 All Time Reining Point Earner. 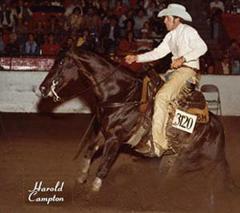 The only horse in AQHA history to win both the Reining and Working Cow Horse high point titles the same year. 2002 NRHA Intermediate and Limited Open World Champ. 2002 Non Pro and Int Non Pro Reserve World Champ. 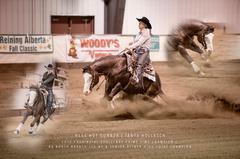 PHBA World Champ Sr Reining and Senior Working Cow Horse. Earner of over $61,000. Multiple World Champ and World Champ Sire. 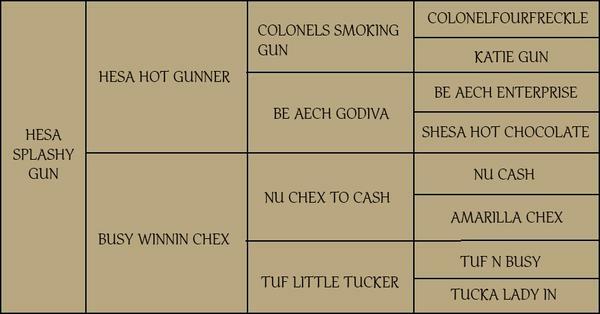 Nu Chex offspring have now won over $1,214,000. 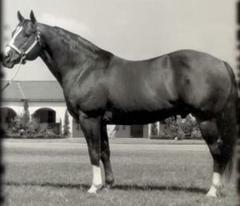 INDUCTED IN THE NRHA HALL OF FAME, NRHA THREE MILLION DOLLAR SIRE. Tuf Little Tucker -- Dam of NRHA & NRCHA Money earners, Foals have won over $25,000 and many of them are still showing today. Katie Gun -- #5 Leading Dam of NRHA Money Earned. 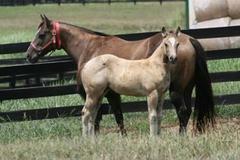 Dam of 18 registered foals as of 2008. Of those, 14 have earned $513,772.64. NRHA Hall of Fame. 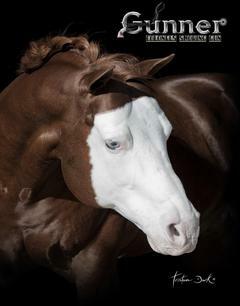 Shesa Hot chocolate -- Offspring earnings NHRA $57,275, Bronze trophy producing mare, whose offspring have won over $70,000. Nu Cash -- NCHA $38,031.03 C0A Bronze NRCHA Hall of Fame, Sire of Nu Chex To Cash (NRHA Hall of Fame), Nu Cash became an NRCHA Million dollar sire in 2003. The only NRCHA Open Snaffle Bit Futurity Champion to sire three Open Snaffle Bit Futurity Champions. Nu Cash won the Futurity in 1987 and his offspring swept the Futurity from 1995 thru 1997 – The Nu Colonel in 1995, She’s A Lot Of Cash in 1996 and Smart Little Cash in 1997. Nu Cash’s offspring have combined earnings over $1.8 million and 2955 AQHA Points.